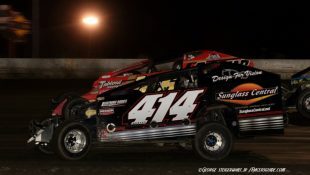 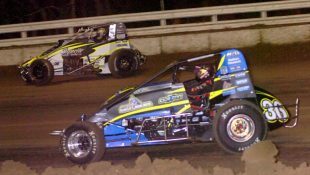 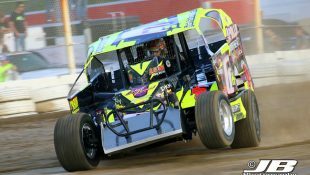 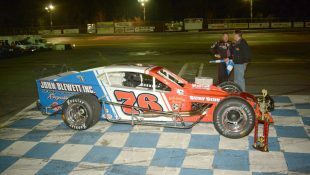 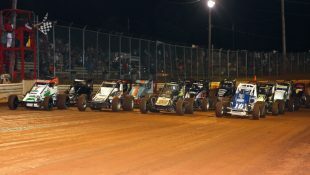 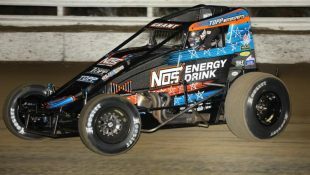 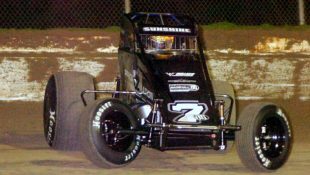 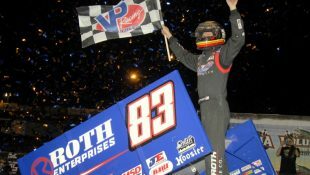 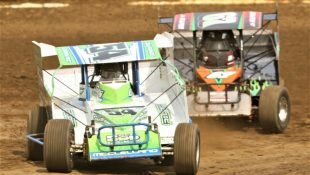 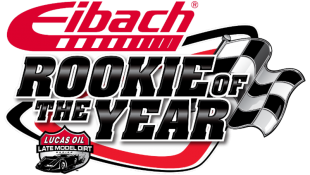 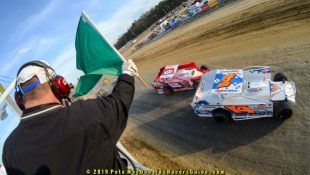 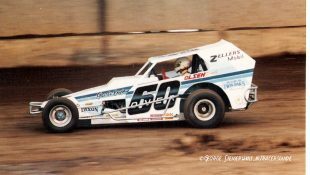 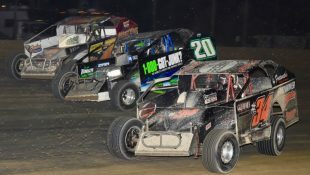 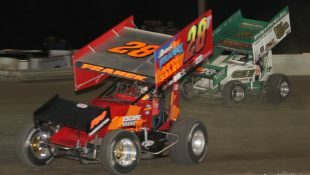 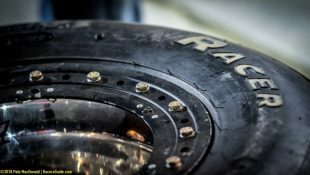 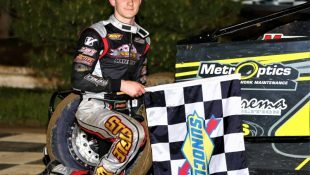 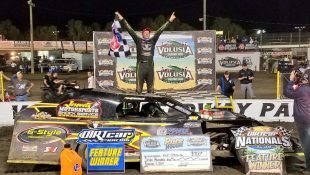 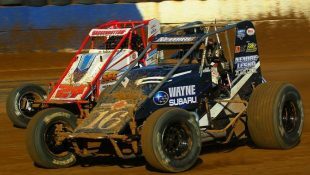 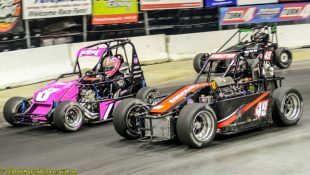 Laubach Takes New Ride To Oswego Front Row :Racers Guide – The Web's #1 Racers' Online Directory! 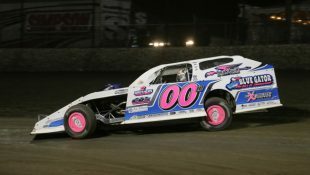 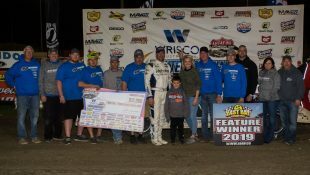 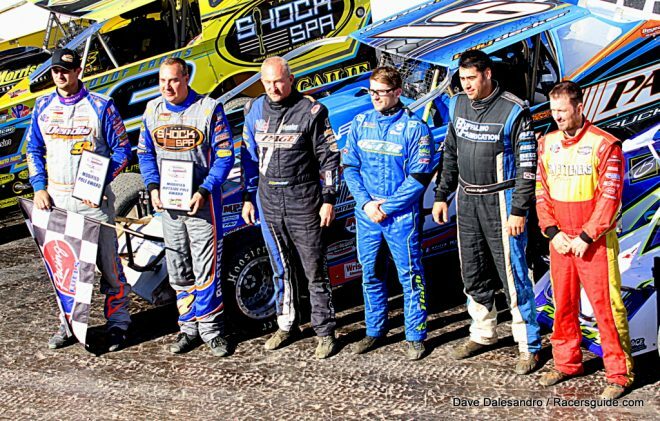 Who would have thought a routine job building someones body would help land Rick Laubach a front row starting spot for The Billy Whittaker Used Cars 200 at the Oswego Speedway during Super DIRT Week? 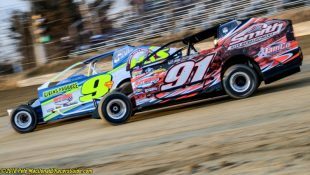 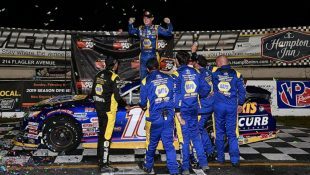 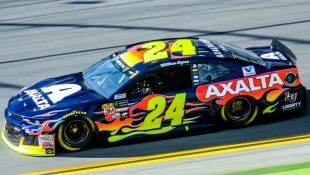 It all came to fruition over the summer when Ryan Alsdorf and his father came to Rick Laubach’s Lightning Bodies in Quakertown, PA to pick up a body for their own car with a proposition. 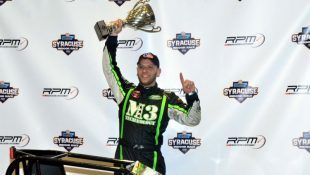 “They said we want to run Oswego and Eastern States. 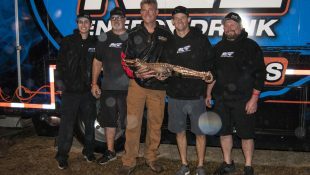 We’re going to get a whole new car, “I asked them if they knew what it REALLY took to do all that and they we’re like, yeah we know what we got to do and what not, “explained Laubach about Alsdorf. 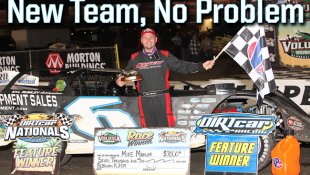 Laubach was all for it. 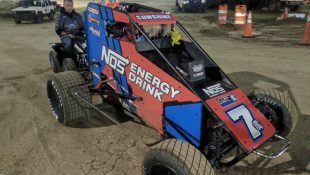 There was one last piece missing and that would be the power plant that would be bolted between the rails of the new Bicknell chassis. 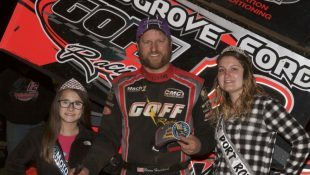 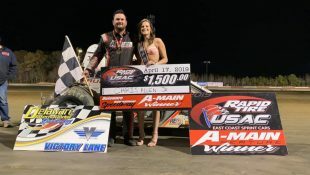 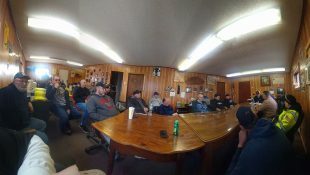 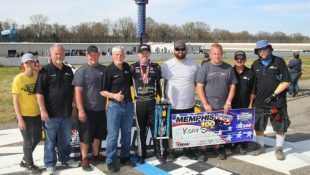 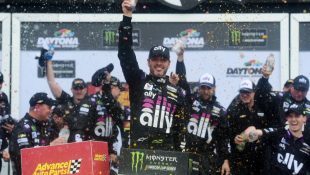 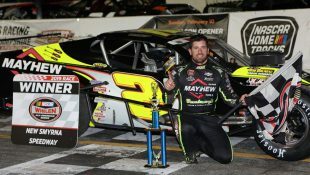 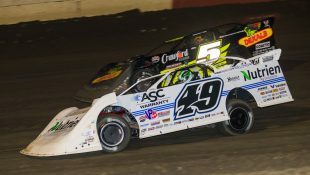 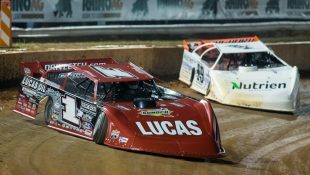 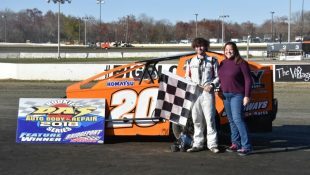 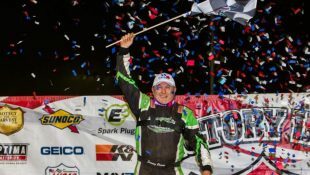 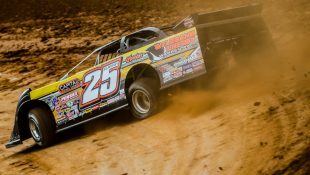 “I asked my other car owners Gary and Lori Herrman and they said that I can use one of their motors, so we put that in and built the new car in my shop over the summer and it’s a really good deal”, said Laubach. 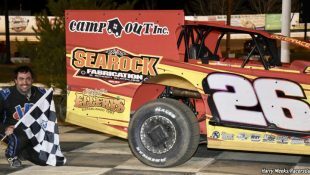 As a result of his qualifying lap on Thursday, Laubach is now locked in for Sunday afternoon’s Billy Whittaker Used Cars 200 at Oswego, something he has never achieved before. 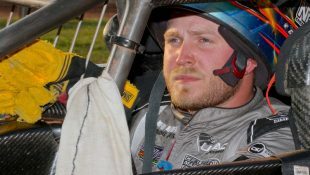 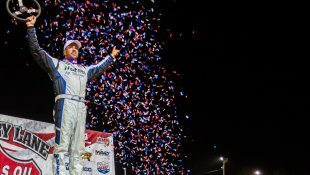 “My guys kinda said try this line, so I went out and fired it into the corner for the first time and said ‘Man this feels so much better than warmups’ after that I knew I had something to work with and it worked out for us.” spoke Laubach about his lap. 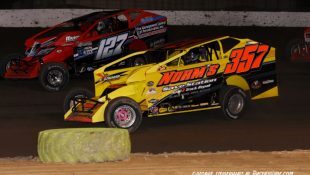 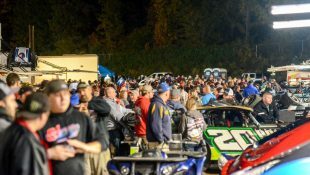 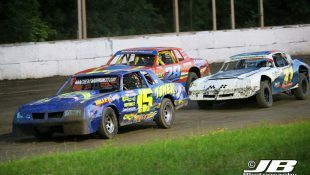 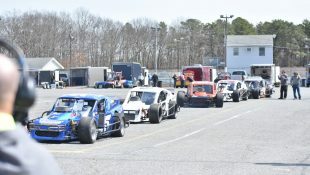 What a difference a year makes for Laubach and the track surface at Oswego, last year Laubach spent much time on the side of the road with the State Police following a trailer issue and the track surface is pool-table smooth. 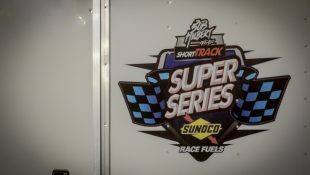 Super DIRT Week at the Oswego Speedway continues Friday with heat races for the 358 Modifieds, Sportsman and Big Block Modifieds under the lights! 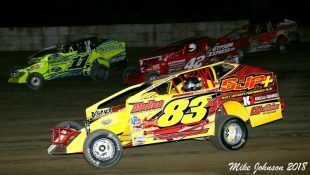 I can be reached at racersguide@gmail.com or found on Twitter @PMacDonald51, Thanks For Reading!